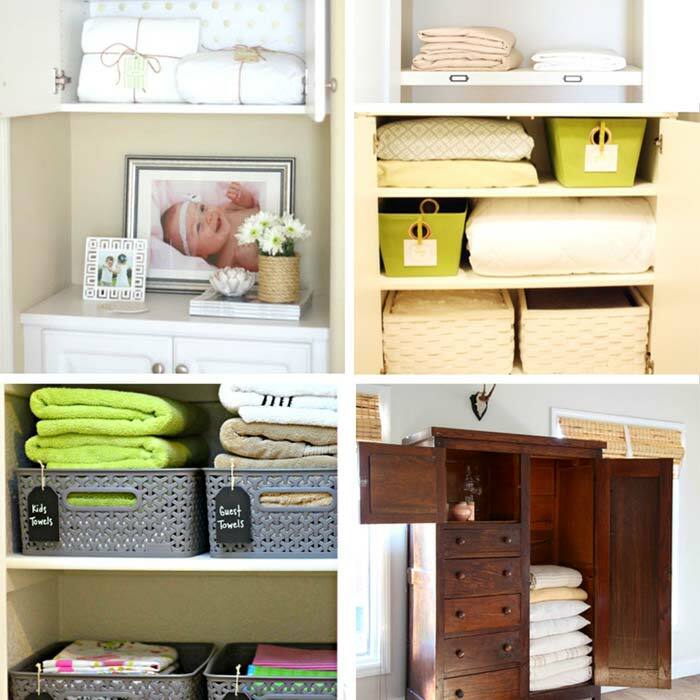 Linen closet organization ideas, hacks, and tips for homes of every size! I'm not sure when it happened. Maybe it was when we switched my twins to a big kid bedroom and I decided to store the crib sheets with a grand vision of turning them into dog beds someday. Or when we got new towels and I decided to keep the old ones, just in case. I'm not sure exactly, but somewhere along the line my linen closet became an overstuffed, unorganized disaster. And now I have a stack of clean sheets (mostly folded - who actually can fold a fitted sheet?) and I don't have anywhere to put them. So my goal this week is to organize my linen closet, and I've found some awesome tips, hacks, and inspiration to help me do it. The secret to organizing any storage space, like a linen closet, pantry, or clothes closet, is to start by purging out what you don't need, then finding ways to store what you keep so that it is accessible and sustainable. I did this last year in my bedroom closet and my system is still working (grab my free printable checklist to get started on yours too). 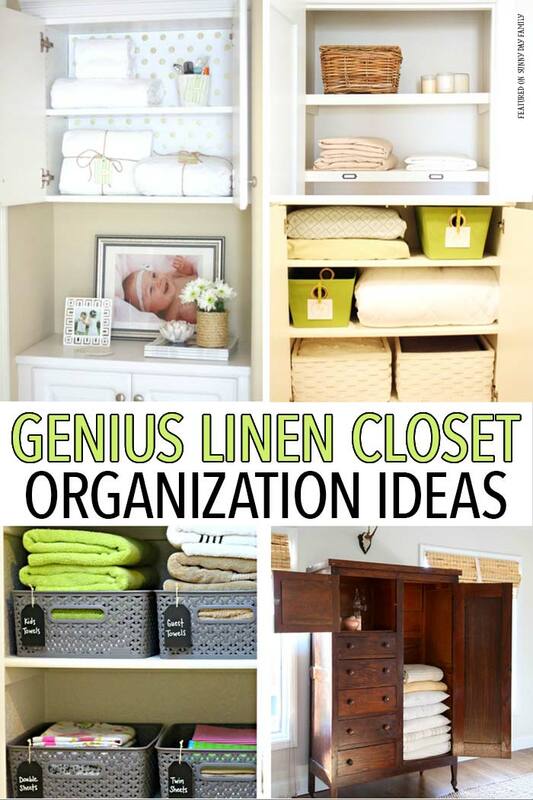 If you're ready to get your linen closet organized so that you can actually find and use what you have, I've found lots of great ideas to get you started. Check them out below! Want more organizing and cleaning tips and hacks? Click here for more than 35 ways to organize your life, home, and more!